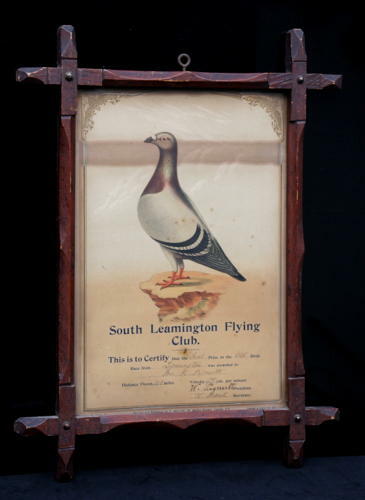 Two Framed late 19th century ( one dated 1898) winners award certificates for the South Leamington flying Club with Two Lovely Coloured pigeons pictured and the particular details of each race including distance and speed. Both in their original Oxford Frames. (Some discolouring due to loose backboard). Nevertheless Charming images and details all original and early date for this sport / hobby.